Reminder — IMTS Leads Posted! 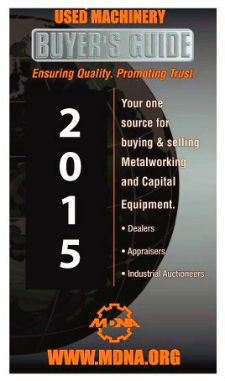 Time is running out to be in the 2015 Buyer's Guide! Click here to download order form and submit it today. Receive 10% commission on referring members! Program is open to you and your employees. Applications & Sponsor Forms for membership are available in the Back Office for you to use or you may also contact Mark Robinson directly with potential member leads. We know all of our members deal with many non-MDNA members who would make great additions to the MDNA, so here's your chance to get them in and get paid for it! To help peak potential member interest direct them to information about membership here and encourage them to check out www.mdna.org . Have you visited the new mdna.org and you can't find your way around, or you're really not sure what new things are now available? Update your listings today and they'll update on MDNA site too! Do it today. November directory closing is Oct. 10. Have you updated your listings yet for the Locator November print directory? The Locator directory's circulation totals 100,000 and is a controlled list targeted specifically to the metalworking industry. An additional 40,000 recipients are notified each month electronically. 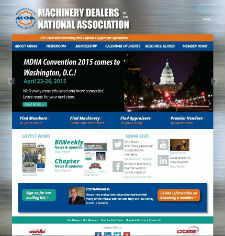 Did you know that your listings at LocatorOnline.com also can be found on the MDNA website under find machinery? 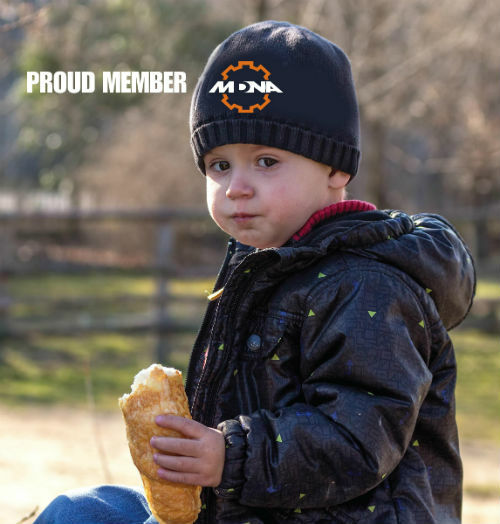 It's exclusive and only MDNA member machinery can be found there, so it's another great advantage for not only being in the MDNA but also advertising with Locator Services. Machine listings on both sites for the price of one! To update your listings, simply follow this link and login through your Dealers' Back Office. 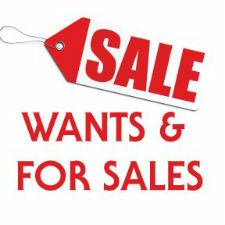 Click on Add Listings, and add the machines you would like to include in the November Edition and online at both sites. Don't miss out — deadline for the print directory is close of business Oct 10. If you would like to discuss the advantages of putting a display ad in our directory and online or have never advertised with Locator Services before, simply call Jim Bowman at 703-683-5957 or email JBowman@locatoronline.com. He would be happy to help you round out your sales and marketing strategy and discuss which products and services would work best for you. All members are encouraged to attend Chapter meetings and are invited to attend not only local meetings but any Chapter meeting or event of interest when convenient. Available in the Member's Only Back Office. You must login to view this information. To see Leads you must login to the Member's Only Back Office. To see photos from the dinner or the IMTS show and hear more about the event visit this page for a quick recap! The Premier Vendor networking and marketing program is designed to strengthen and broaden the relationships between MDNA Members and our key industry supporting vendors. 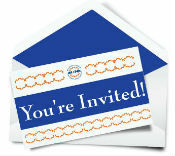 See the Premier Vendor Application. To learn more about becoming one please visit us here. Joyce Stump, the mother of Robert Stump of MDNA member firm Yoder Machinery Co., passed away on Thursday, Sept. 25. Joyce and her husband, Weldon, founded the Weldon F. Stump & Co., Inc. in 1948. Their son, Robert, and daughter, Karen, also worked at the company. Weldon F. Stump & Co. Inc. were members of the MDNA from 1956 to 2004. To read the full obituary please click here. A celebration of Joyce's life will be announced at a later date. The family suggests memorial contributions may be made to ProMedica Hospice, 5200 Harroun Rd., Sylvania, OH 43560. A new address for Benchmark Machine Tools, LLC. While China and other countries face challenges to their once-burgeoning manufacturing sector, all signs in the U.S. are pointing to a growing industry now seen as a "rising star" in the world market. Go to a meeting of any trade group or association and someone is going to mention "big data." I know of scores of companies that have scores of servers dedicated to storing all this data. So what? A SPECIAL thank you to all the sponsors who made the dinner reception possible! To see photos from the dinner or the IMTS show and hear more about the event, visit this page for a quick recap! Manufacturing companies are always looking for ways to cut costs and increase profits. One method often used is to outsource manufacturing and product assembly to countries with low labor costs. Outsourcing does lower production costs, but in many instances it lowers quality and diminishes the customer base. While cost per unit is lower, often so are sales. Companies lose quality through outsourcing because they lose control. Consumers are aware of these mistakes, and perhaps they have had enough. While China and other countries face challenges to their once-burgeoning manufacturing sector, all signs in the U.S. are pointing to a growing industry now seen as a "rising star" in the world market. Thanks to an abundance of natural gas cutting energy costs, an increase in auto sales, and a host of other factors, the U.S. manufacturing industry is now growing at its fastest pace within the past three years. But there's one obstacle standing in the way of a full U.S. resurgence and the improved job numbers that could come with it: a lack of skilled American workers. Imagine a world where smart systems, Internet of Things sensors and robotics combine to automate large areas of manufacturing, linking wired and wireless networks throughout the world in the making of products, and relying on both structured and unstructured big data to get the job done. McKinsey & Company describes smart manufacturing as a "type of information system — through sensors and actuators embedded in physical objects ... [where] processes govern themselves, where smart products take corrective action to avoid damages and where individual parts are automatically replenished." Rochester, New York, was once the imaging capital of the world, home to Kodak, Xerox and the eye care company, Bausch + Lomb. Led by these companies, the manufacturing sector once employed 60 percent of Rochester's workforce. Now, that's less than 10 percent. And so, like many cities in this country, Rochester is trying to build something new from its manufacturing heritage. If you want to understand the story of Rochester, says historian Carolyn Vacca, you need to come to High Falls, where from a bridge visitors see a waterfall and a panoramic view of downtown. Modern industrial practices at large manufacturing operations will involve smart devices more often, employ adaptive machining techniques, integrate design processes that improve parts almost as they're made and will "print" digital files at factories distributed around the world. Michael F. Molnar, director of the Advanced Manufacturing National Program Office housed in the National Institute of Standards and Technology, made the predictions. The Richmond Fed's survey of business activity signaled a pick up in activity in the east coast. The headline manufacturing index unexpectedly jumped to 14 in September from 12 in August. This was better than the decline to 10 expected by economists. For most of the last century, manufacturing was the largest employer in both the nation and the majority of American states. Since then, however, three largely consumer-driven sectors have overtaken manufacturing as the nation's largest employers: retailers; hospitality (which includes restaurants and hotels); and a combined sector called health care and social services. Amid all the change, Wisconsin stands out as one of few states where manufacturing has remained the biggest employer.